Yesterday’s Astros/Mariners game had to be one of the slowest paced games ever played in major league history, taking well over two hours of crappy pitching and fielding to get through five innings. But the Astros wore the orange tops, gray pants, and blue caps while the Mariners wore a blue/yellow/white combo that was really nice looking. Thus with nothing better to do between endless foul balls to the stands, I started thinking on what I would do for baseball if I were to be named the commissioner. Baseball stadiums might have been boring in the 1970s, but the uniforms weren’t, so if I were commissioner teams would make a return to retro uniforms of the 1970s. The Astros and A’s have already started to return to this style. 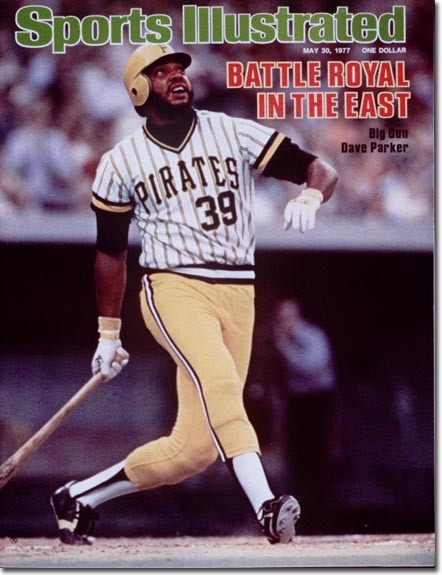 But let’s get the Orioles back to wearing orange shirts and orange pants, and put the Pirates back into those black, gold, yellow, white things they wore that sometimes featured stripes and sometimes featured diamonds, only with a yellow cap instead of the black. Bring back the brown and yellow mustard of the Padres. Put the Indians back in those ketchup bottle uniforms.The Royals, Cubs, Twins, and Cards should go back to the baby blue road uniforms. All players must wear the high socks with stirrups, and the socks must have stripes at the tops. Let’s make it so that when someone turns on a game at random that it’s immediately recognizable what teams are playing. And enough of these baggy uniforms that fit like pajamas. Dress like professionals with uniforms that fit. I’ll encourage the players to have afros and wear lots of gold chains. Bring back the bullpen cars that the relievers took to the mound. Encourage bat flips and players celebrating great plays, and I’ll fine and suspend any pitcher that throws at a guy for standing at the plate and watching as his ball soars into the stands for a home run. And if a pitcher wants to pump his fist after a strikeout, then have at it. MLB has made some nice steps with increasing the pace of play with the clock that players must follow. But it’s not enough. From here on out, relievers have to face at least two batters a inning, and any team that uses more than two relief pitchers in an inning is prohibited from using pinch hitters the rest of the game with the number of relievers for the next game being limited to no more than three total, including the closer. The pitching coach or manager may only visit the mound once an inning, an that mound visit automatically means the pitcher is out of the game. The catcher is the only player that may visit the pitcher on the mound, and he’s limited to two visits an inning. Yet most of the time now wasted in games is due to commercial breaks. I command that there will no longer be commercial breaks during pitching changes. And let’s eliminate the seventh-inning stretch which is a relic of a much older time and is not needed — along with that, I’m eliminating the singing of God Bless America during the seventh-inning stretch as well. It’s an inning break just like any other. If a team wants to intentionally walk a batter, then a signal is made to the umpire and the batter takes first. There’ll be no more of the time wasted by throwing four pitches wide of the plate. The batter doesn’t get to takeout on reaching base to hand over gloves or pads to a trainer. What the player is wearing upon reaching base must stay with the player until said player scores or the inning ends. As the commissioner I will, myself, enshrine Shoeless Joe Jackson, Pete Rose, Barry Bonds, Roger Clemens, and Alex Rodriguez (upon his retirement) into the Baseball Hall of Fame. They are among the greatest players to ever play the game of baseball, and keeping them out of the Hall because of overblown controversies that did not actually impact hard their teams in any way — I would argue that the actions of Bonds, Clemens, A-Rod, and others actually made their teams better — is as stupid as the whole PED-witch hunt. It would also be my rule that if an elector is retired, has switched beats to basketball or golf or the Olympics or football, then that Hall of Fame elector shall lose his/her vote — if you don’t cover the sport, then you don’t get to vote on the sport’s biggest individual honor. The St. Louis Cardinals, who hacked into the computer of the database of the Houston Astros, would be severely punished. The team would be permanently realigned to the American League West, and all of its home games would have to start at 7:05 West Coast time — let’s see if the so-called best fans in baseball support the team then (the Astros would, of course, be returned to the NL Central). The person/persons who did the hacking would be consigned to working for Jeffrey Loria and the Marlins — no other team can be allowed to hire them, and he can fire them at-will. That’s what I would do if I were commissioner. But don’t worry, we all know that’s never going to happen.